Manchester United play holders Arsenal in the outstanding semi-final tie. Tickets for the final are priced at £10 for adults, £7.50 early bird and £1 for concessions. 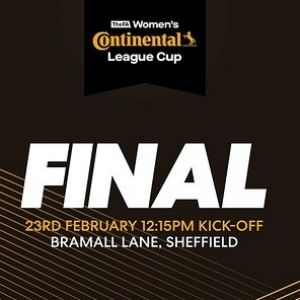 The final will kick off at 12.15pm and will be broadcast live on BT Sport 1 and 4K UHD.